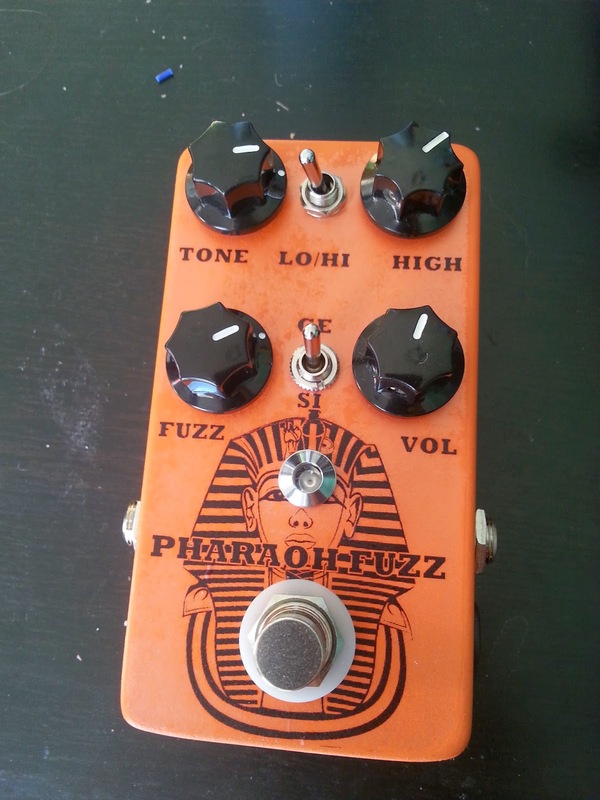 The Blackart toneworks pharaoh fuzz features 470nF caps instead of all 47nF caps shown in the schematic. I used this one for my build. Instead of the 47nF caps I used 470nF, as in the Blackart Toneworks one. 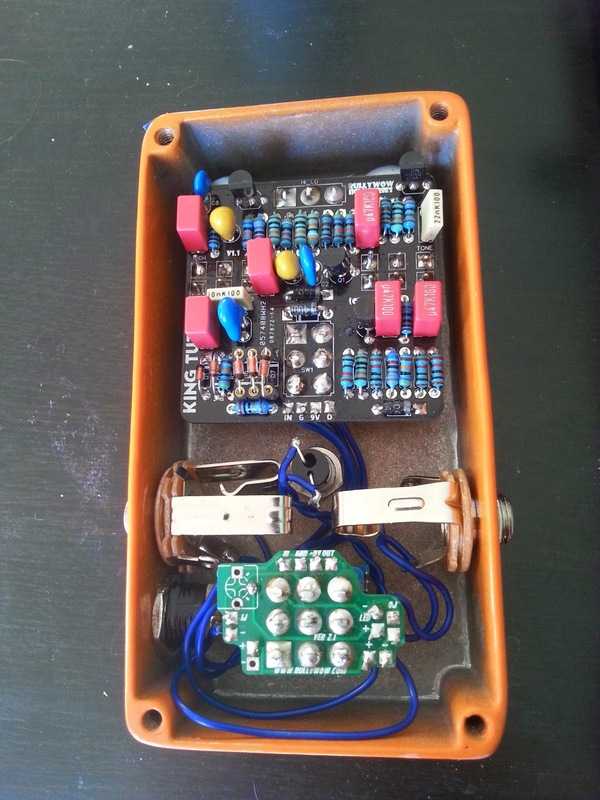 Nice build! Too bad your drill template is no longer available. I could use it! Cool project! Thanks to you I am planning to build the same one using rullywow pocb and black Arts value caps. Do you have any problems with noise while using a DC brick? I have noticed that other layouts are using power filtering as it's done on the Proco Rat : a polarised 100uF cap + 100 nFcap, put in parallel between +9,5 V and ground to filter the power (remove ripple). sorry, links updated to google drive! Hello. Did you had any problems with the change of the caps capacity ? 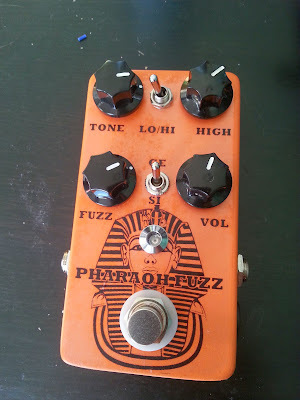 I used this pcb : https://www.coda-effects.com/2016/04/black-arts-toneworks-pharaoh-fuzz-clone.html , changed the caps to 470nf and now I have a problem with the High mode. Like the caps are charging of something, the volume crashes when I play big chords. Do you have any idea where that can be coming from ?